Digital is taking a toll on our professional and personal lives. All day and night, our desktops, laptops, tablets, and smartphones are buzzing and beeping. We’re bombarded with so many messages and alerts that even when we want to focus, it’s nearly impossible. This culture of constant connection takes a toll both professionally, financially and personally. Basex, a research firm that specializes in technical issues in the workplace, reckons that information overload is responsible for economic losses of $900 billion a year at work. But can we cut ourselves off from all electronic devices? No. There is one solution: professors and other experts who study this phenomenon agree that the best course of action is to start by doing one thing at a time. It may sound strange, but studies have shown this actually saves time. But can people really put on limits? Stanford University communication professor Clifford Nass tells people to quit multitasking go cold turkey. The result? "I tried that once at Stanford, where I offered $100 for people to stop multitasking for a week. But I couldn't get anyone to do it." 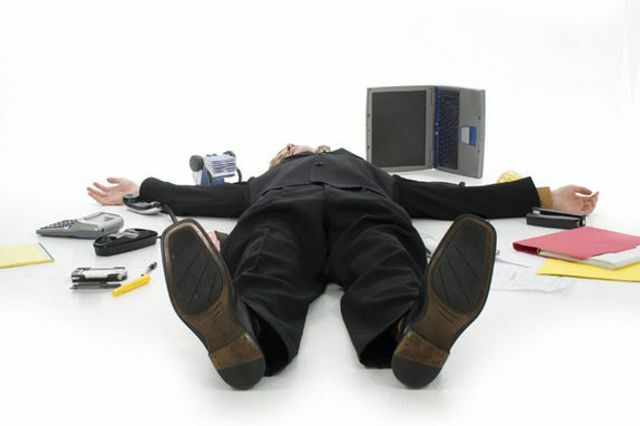 Do you feel overloaded digitally? o Totally. 010101zzzzz... o Life is never dull, but I manage. o You kidding? I thrive on the digital life! Digital overload may be the defining problem of today's workplace.